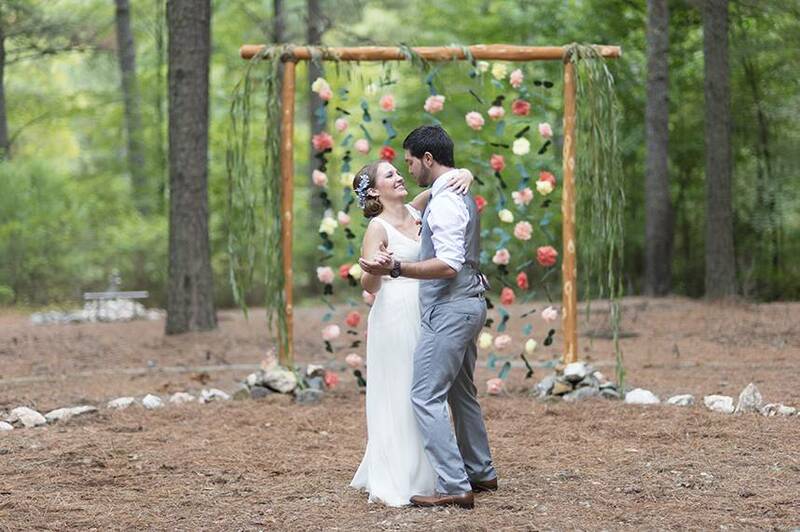 Kate and Randy tied the knot in a picturesque outdoor Oklahoma wedding at Beaver’s Bend State Park and we can’t get over all of the sweet details. 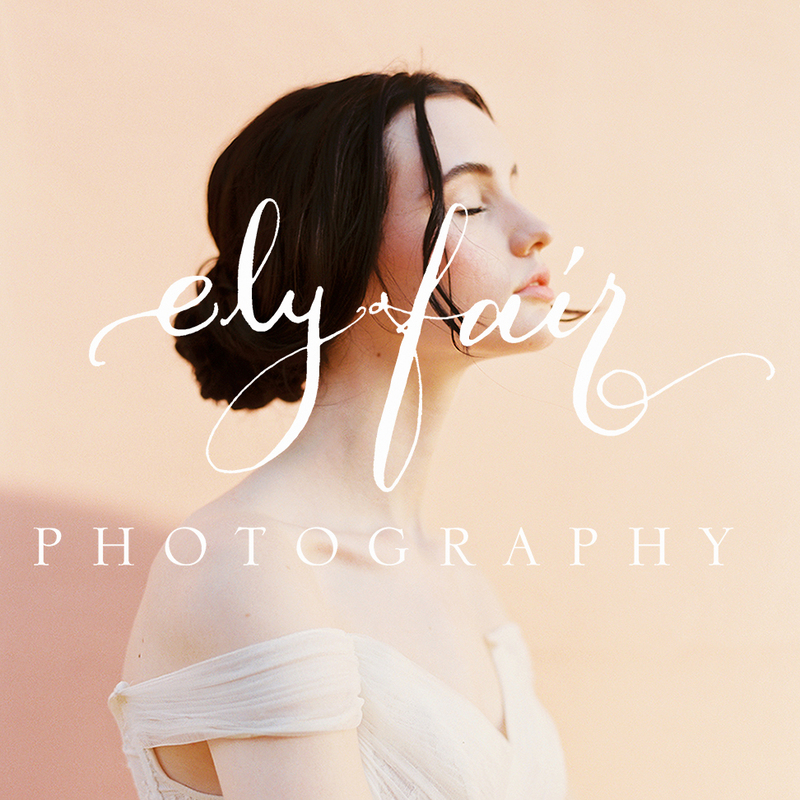 Ely Fair Photography captured every detail beautifully, from the handmade decor to the love glowing from the bride and groom’s faces. 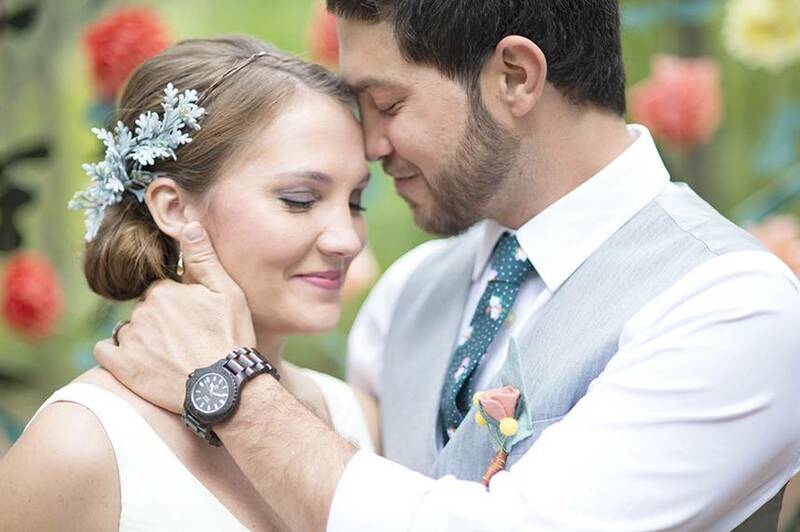 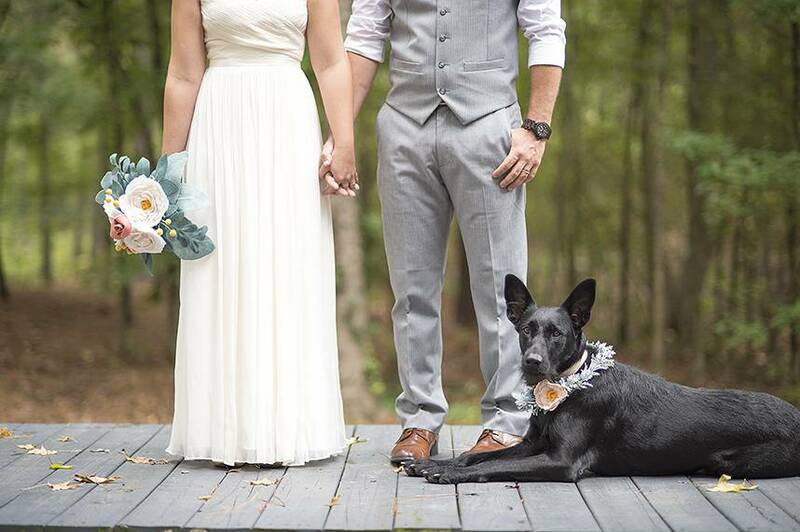 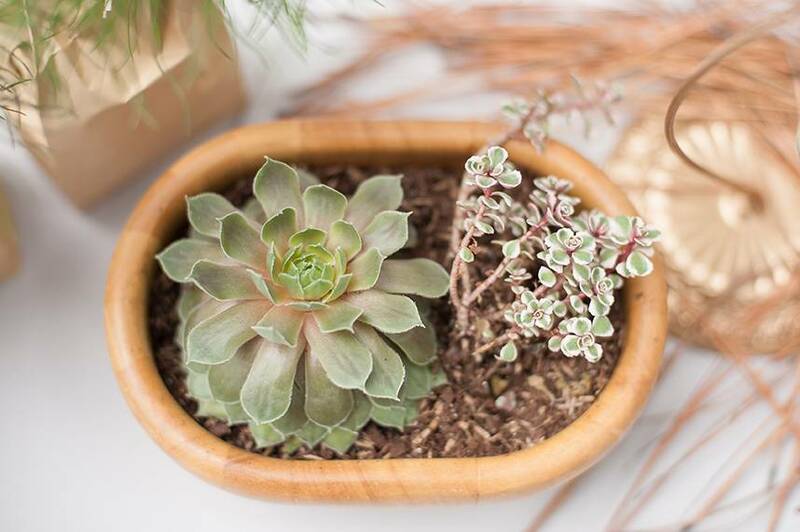 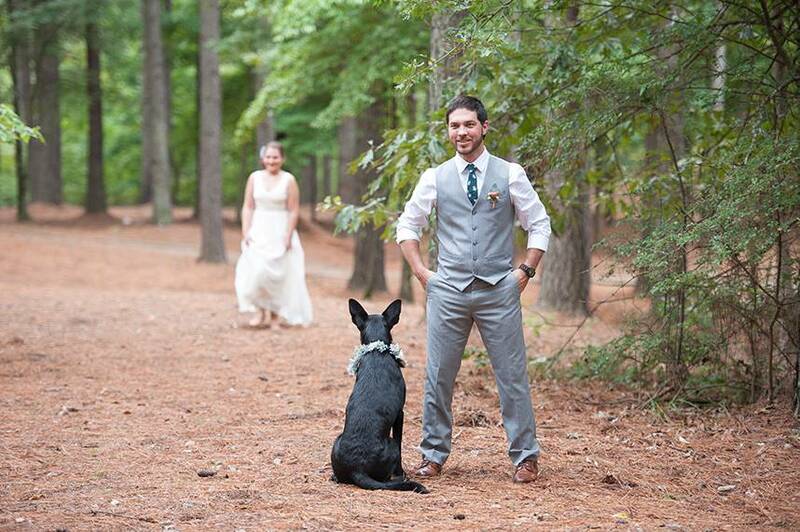 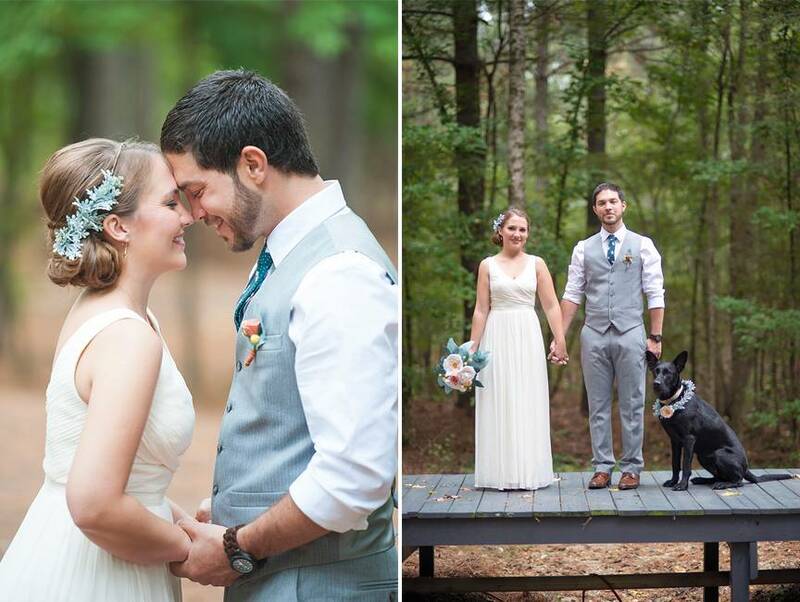 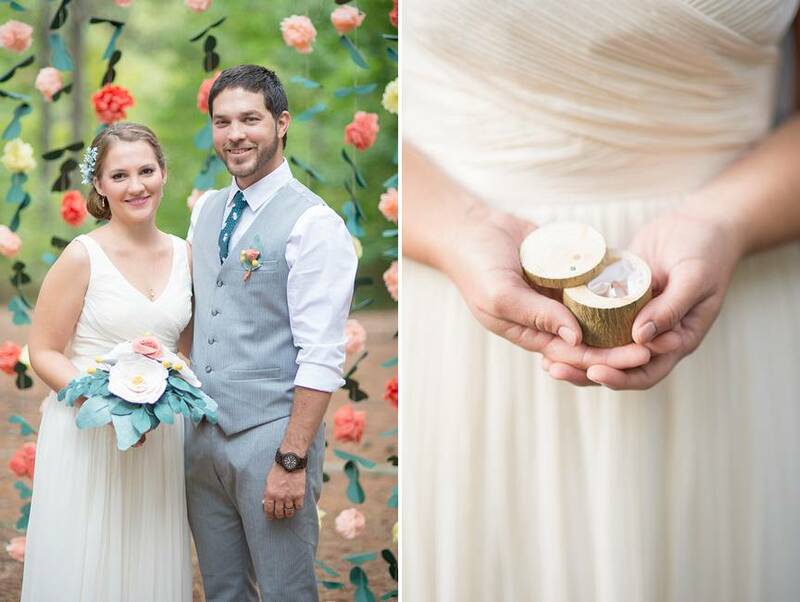 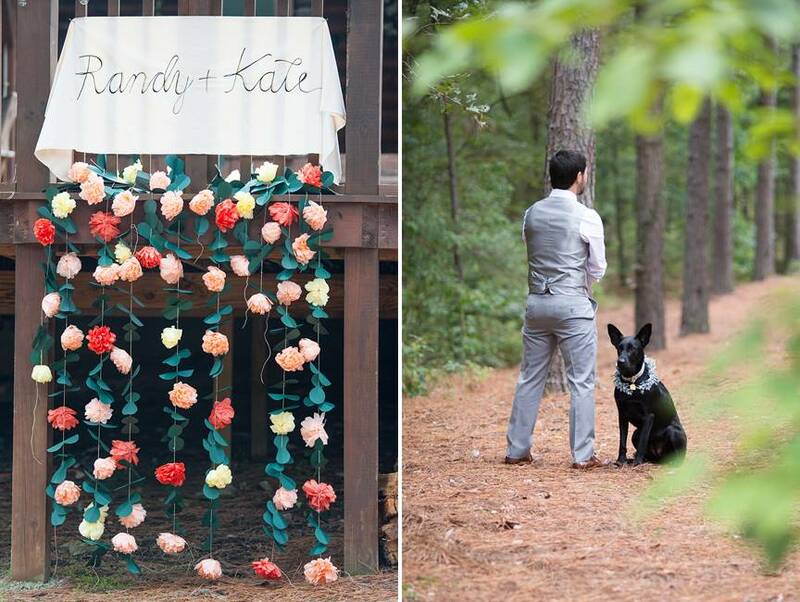 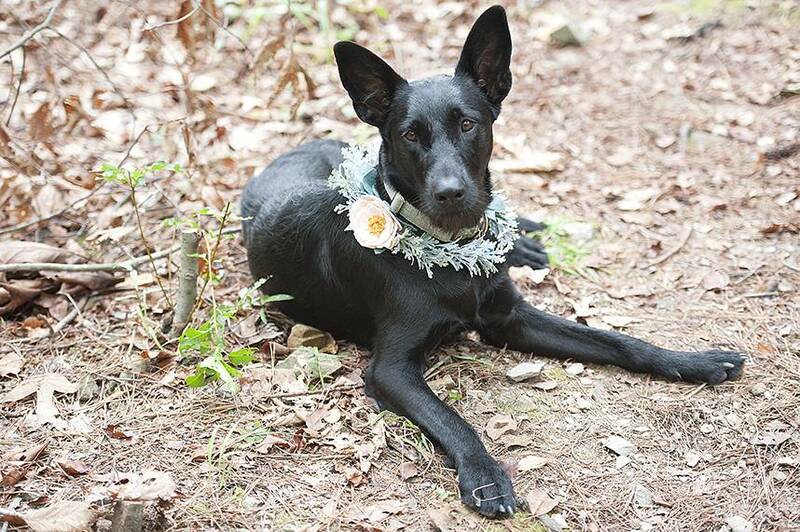 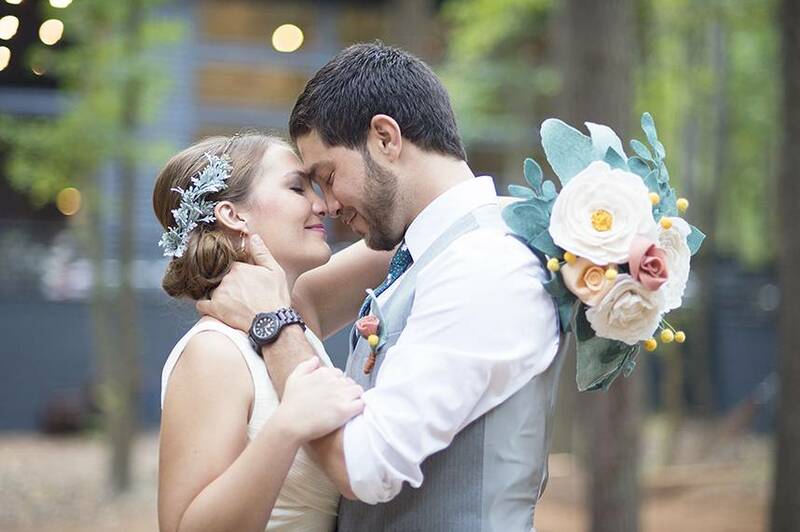 Their precious pup was even included in their big day, wearing an adorable floral collar. 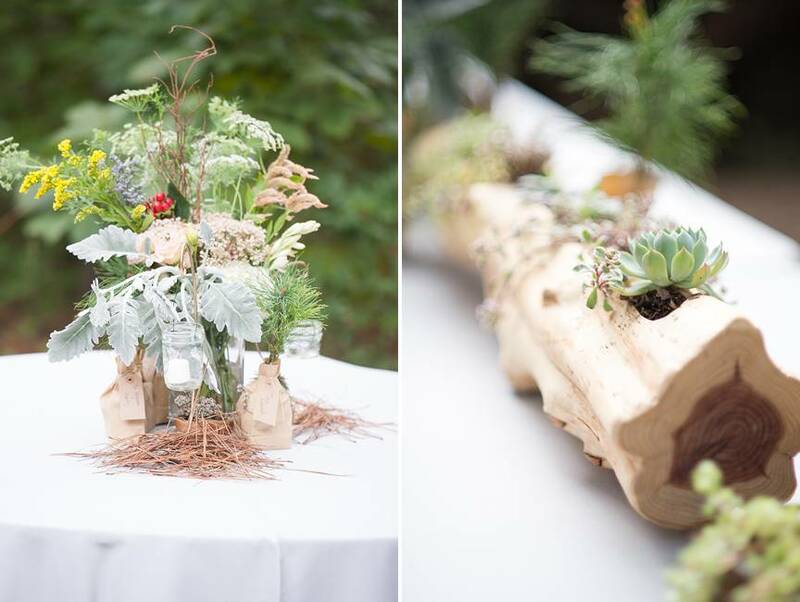 Hanging flowers served as a beautiful altar backdrop, succulents and greenery adorned the long reception tables, and small trees were given as unique wedding favors to guests! 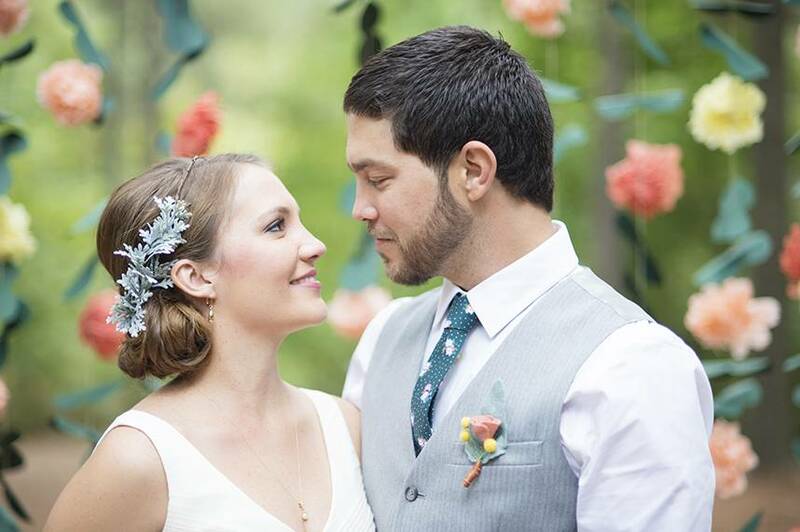 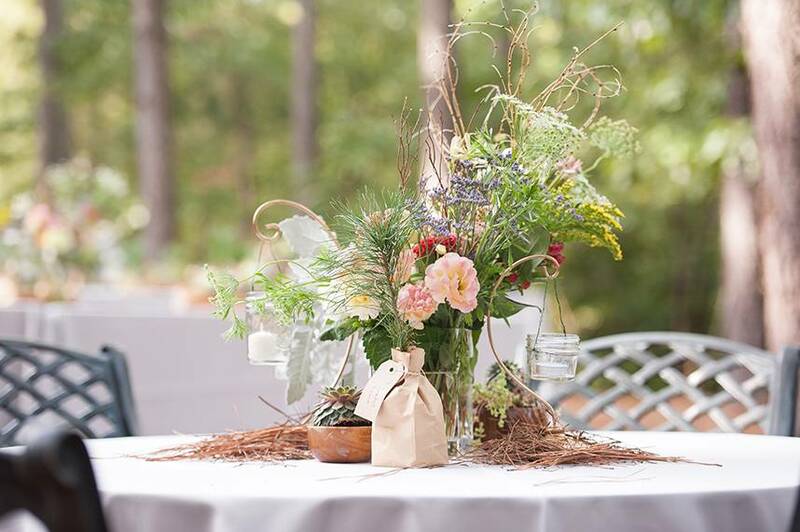 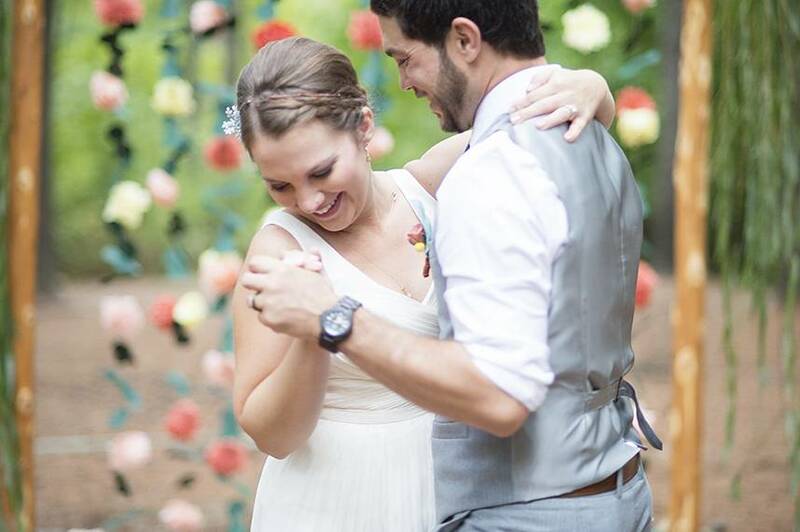 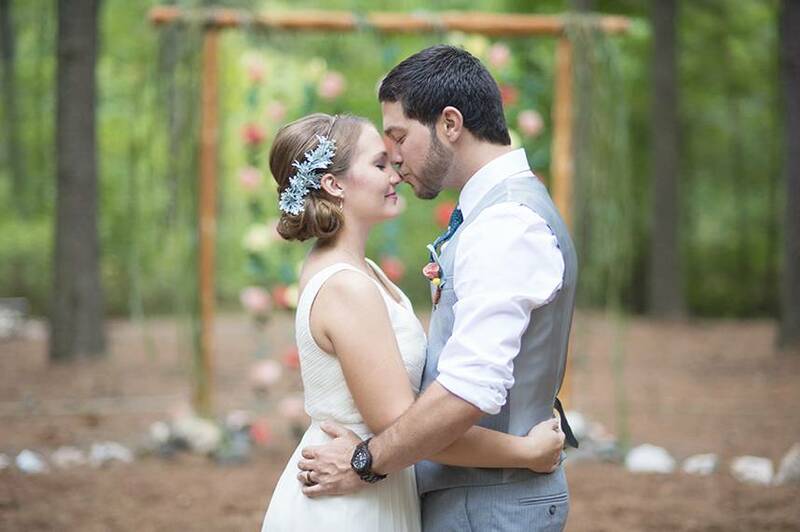 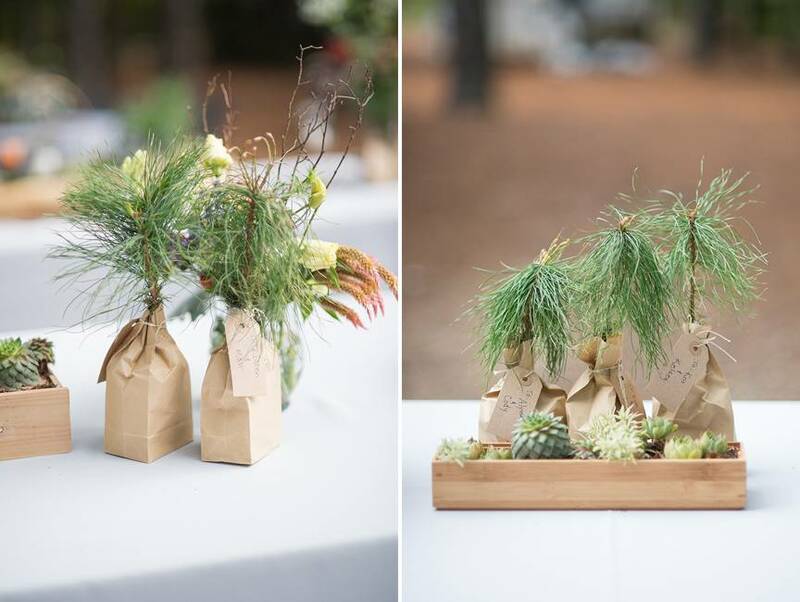 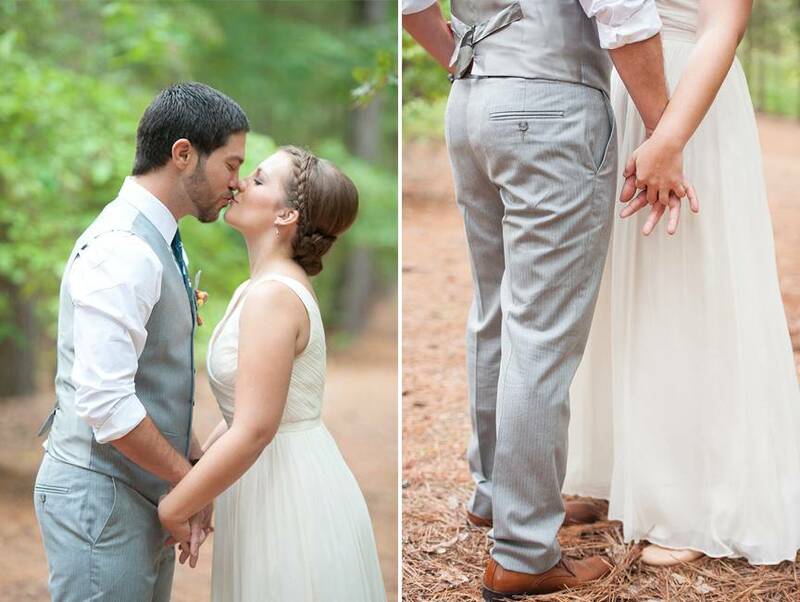 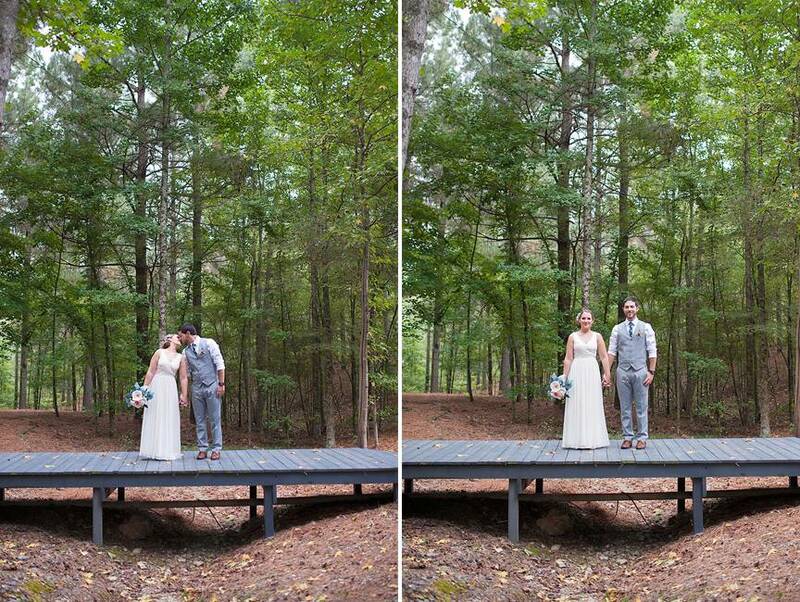 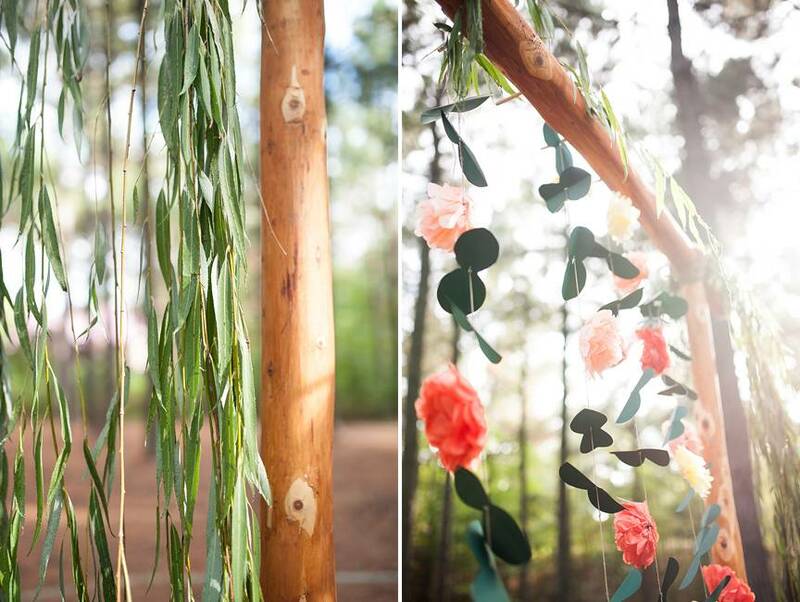 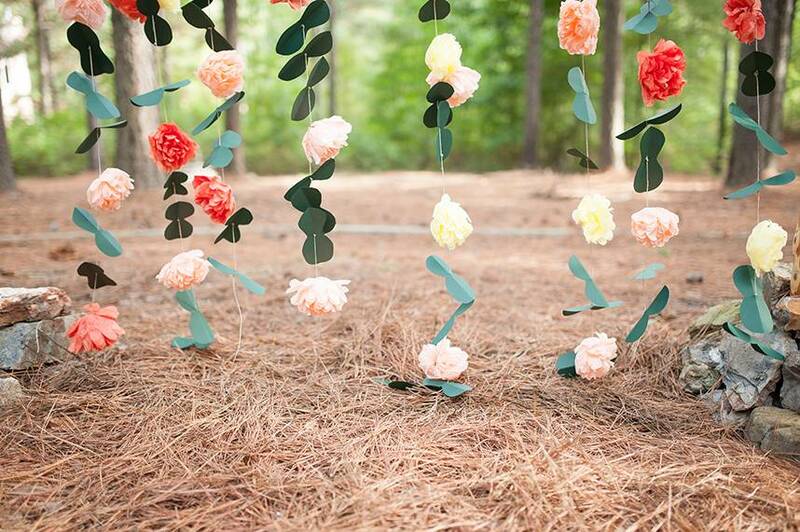 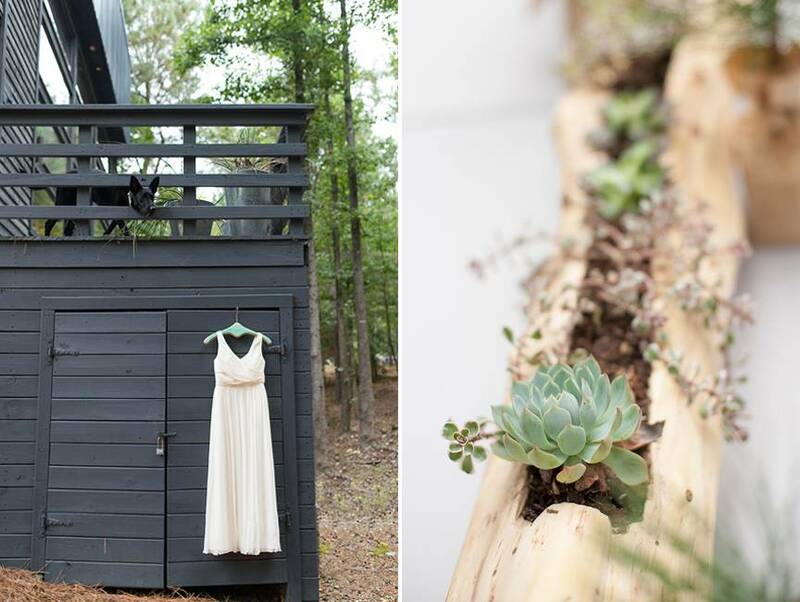 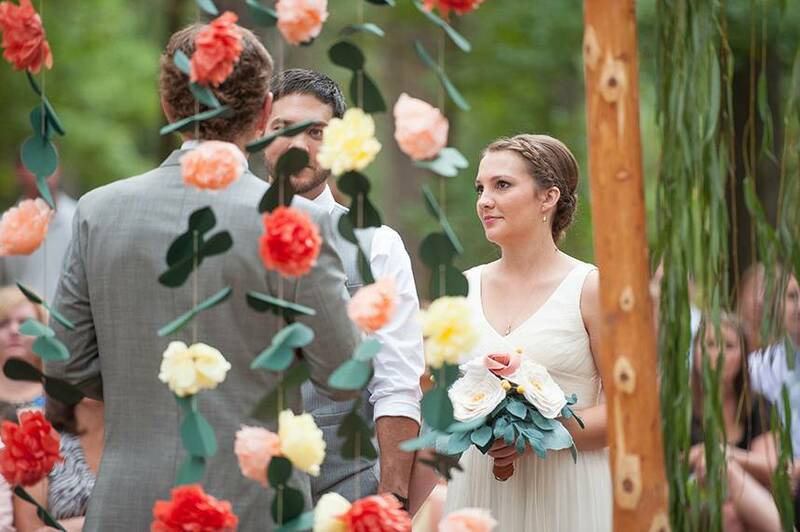 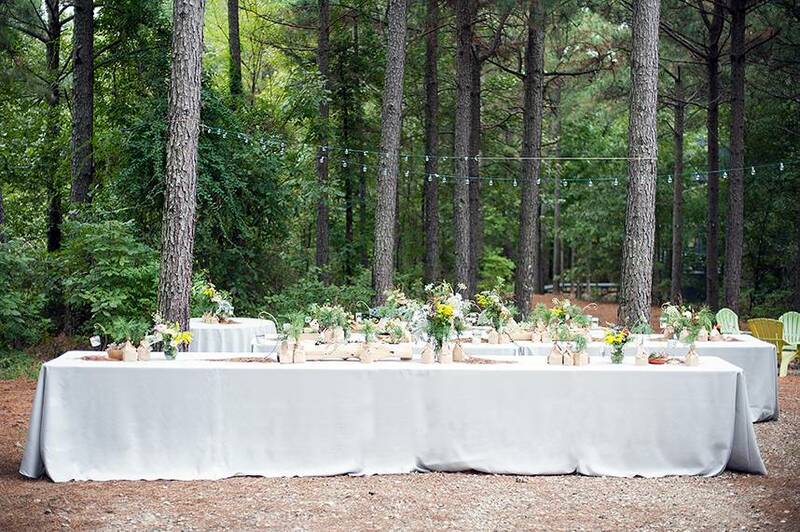 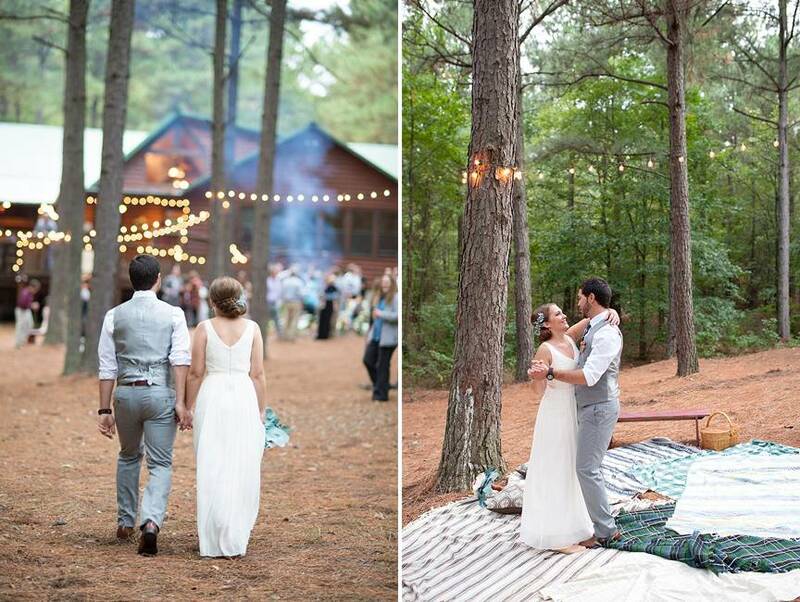 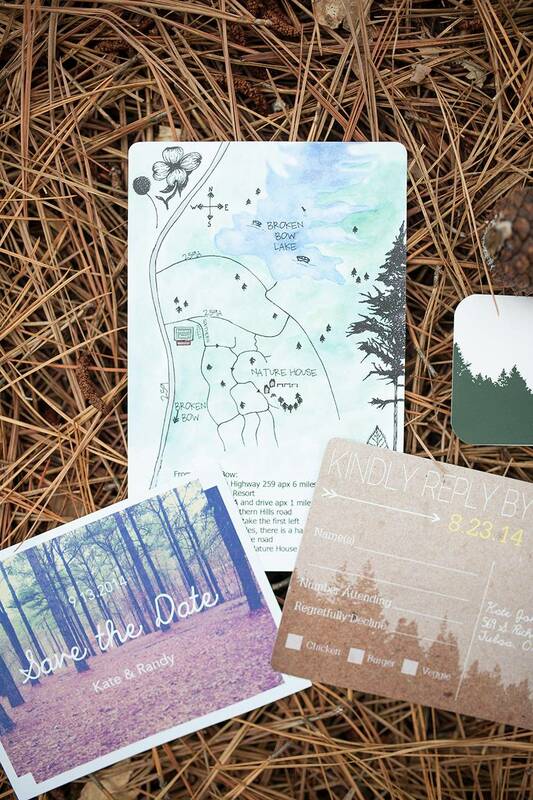 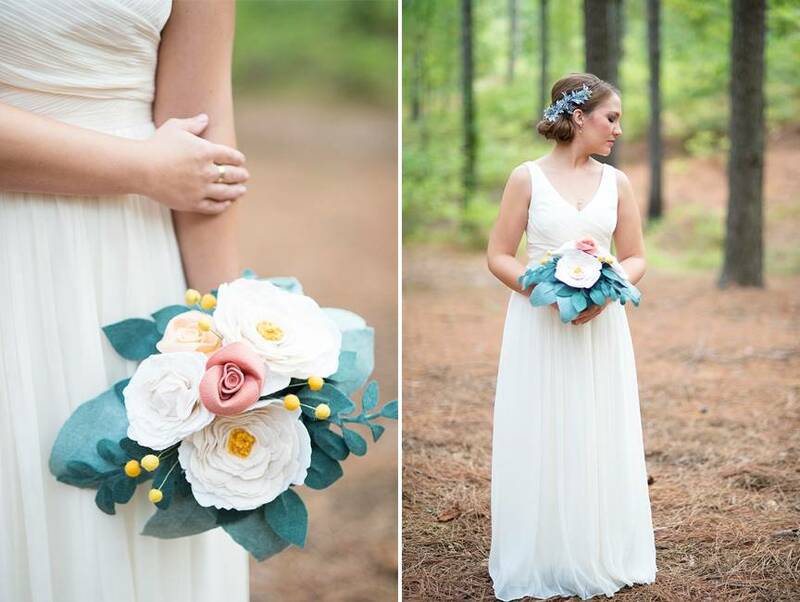 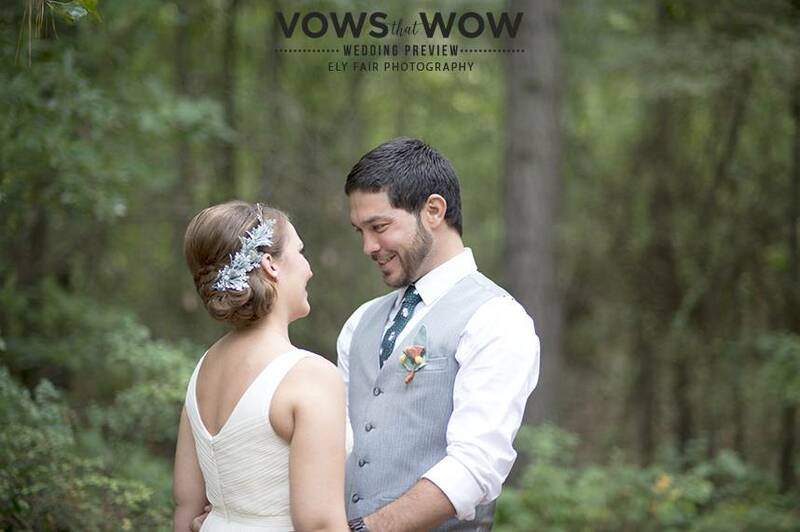 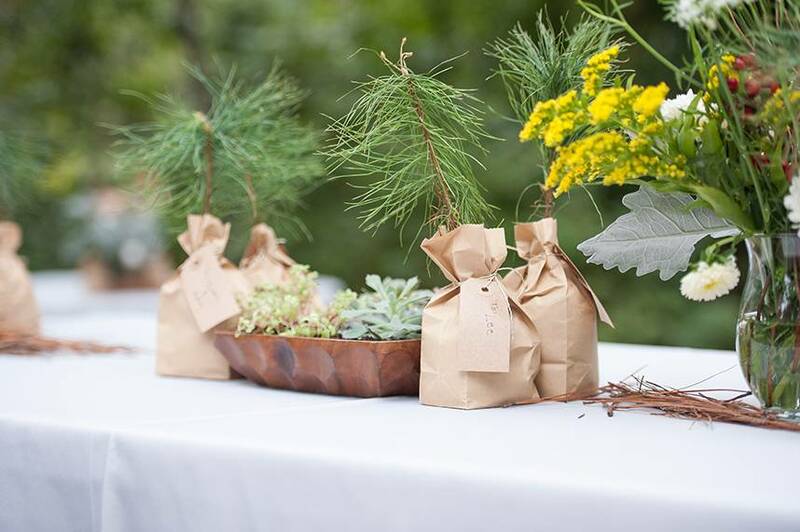 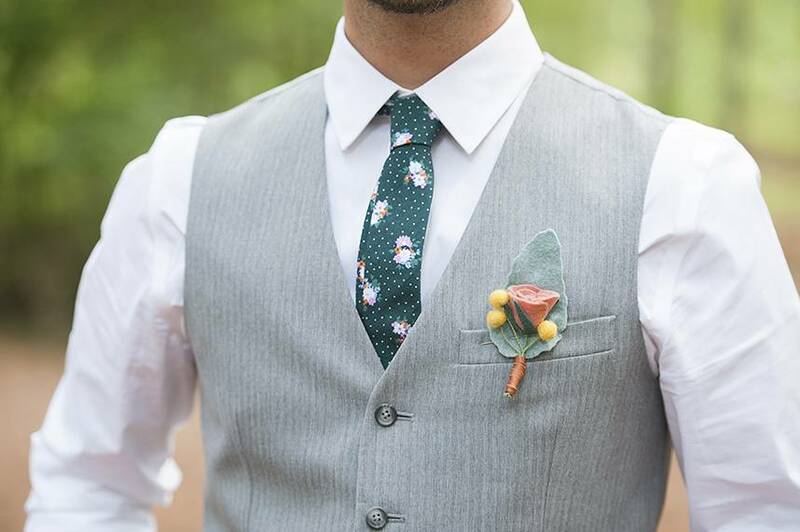 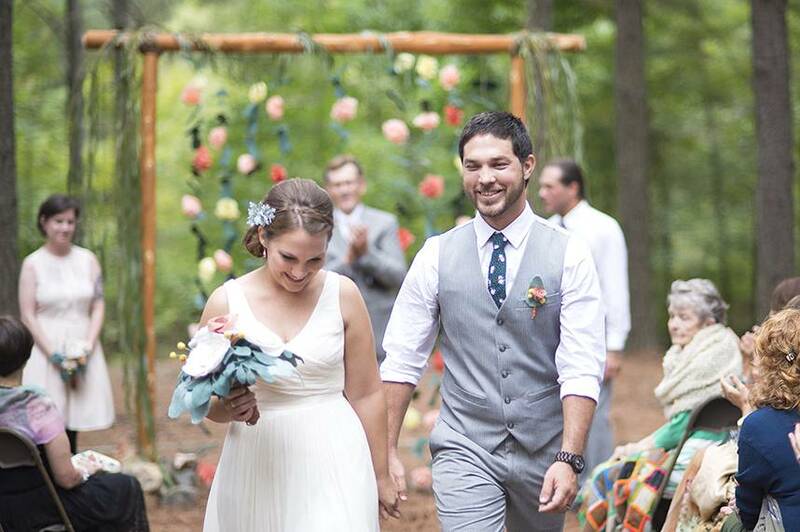 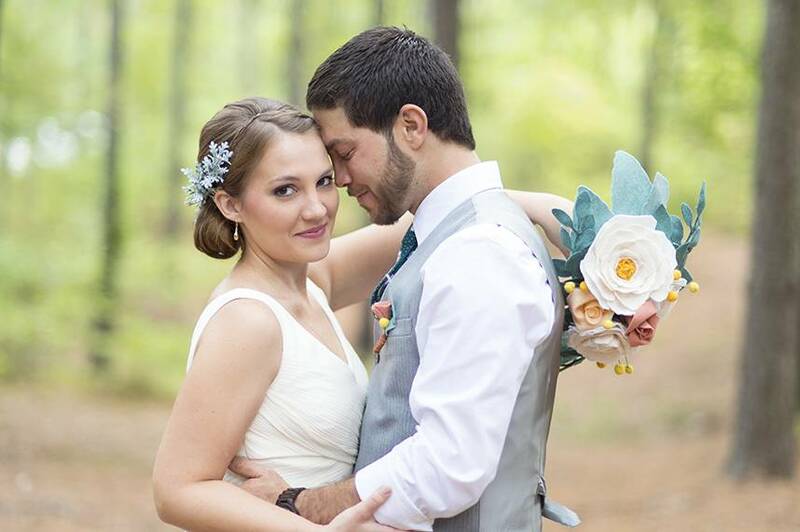 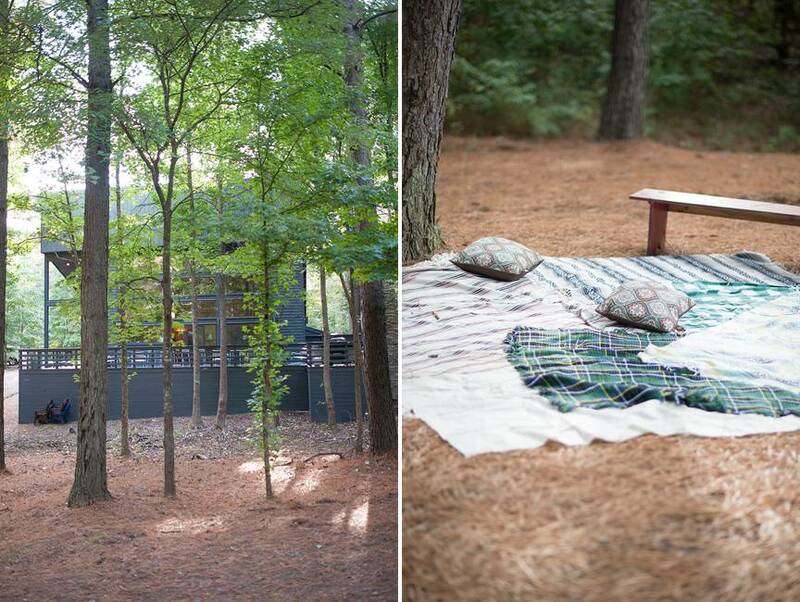 The tall forest was the perfect setting for their intimate and memorial ceremony in the trees. 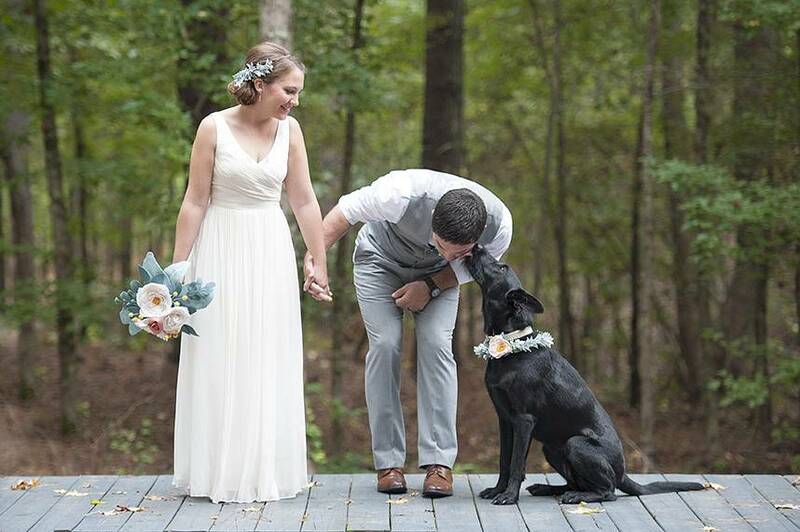 Cheers to the Damerons!